Events Get everyone in the Kitchen for your next event! Convenient Location Come by planes, trains or automobiles! IT HAPPENS EVERY TIME. YOU INVITE PEOPLE TO A PARTY, AND WHERE DO THEY END UP? THE KITCHEN. It's no surprise. Warm, inviting, full of enticing aromas and flavors-the kitchen's the heart of every party. 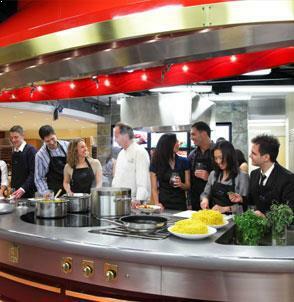 Action Kitchen™-Seaport Hotel's newest culinary experience-takes congregating in the kitchen to a delicious new level. Imagine yourself and your guests in a gleaming gourmet kitchen with state-of-the-art equipment, the freshest regional ingredients and a menu custom crafted by a world-class chef. And you're not here just to enjoy the food - you get to help prepare each unforgettable dish with expert guidance every step of the way. Add wine, music and lively conversation, and this is no ordinary group activity or event-it's the ultimate cooking party in the ultimate kitchen. 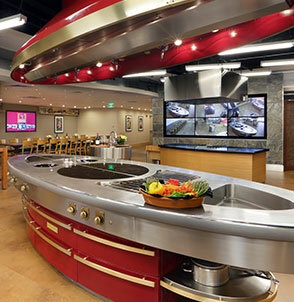 Action Kitchen is the perfect idea for one-of-a-kind celebrations with family and friends. It's also a fresh way for corporate teams to build camaraderie and enhance teamwork. Seaport, and the Action Kitchen, are pleased to announce the launch of our Cooking for the Community initiative. 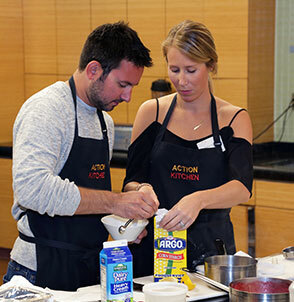 For every group, company or organization that hosts a collaborative cooking event in Seaport's Action Kitchen, Seaport will donate $1 per person to the Boston Rescue Mission.